The students from Malta, France and Austria who took part in the Entrepreneurship Education in Europe Week at the Business Academy in Vienna. 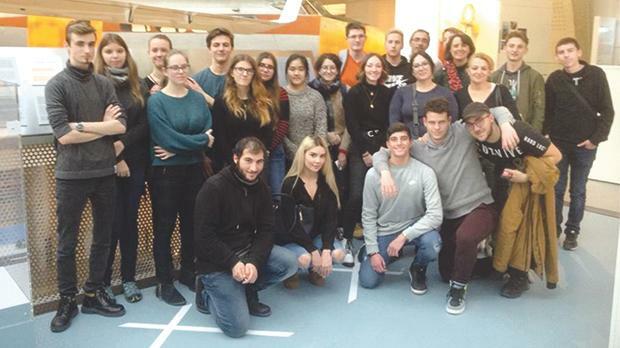 Five students from Giovanni Curmi Higher Secondary School, Naxxar, joined six students from France and 11 students from Austria for an Entrepreneurship Education in Europe (EEE) Week at the Business Academy in Vienna. The main aim of the week was for the students to acquire a range of skills that would enrich their entrepreneurial skills. Working in groups, the students had to apply the concept of up-cycling by creating a product from scratch. They had to go through all the stages of new product development (NPD), starting from the concept idea to commercialisation. The participants also learned about the cultural, professional and social realities of the host country and could therefore integrate more easily on their mobility experience. The EEE Week formed part of an Erasmusplus project on entrepreneurship that the Naxxar school is participating in together with four other schools from the UK, Austria, France and Finland. Students coming from different disciplines and cultures are taking part in the project to acquire a wider range of life skills in order to be better prepared for the workplace.